In the recipe of abundant life, delicious dining is a main ingredient! 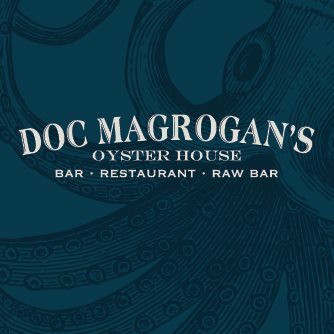 We invite you to come experience our brand of wonderful at Doc Magrogan's Oyster House! Freshness with environmental conscience is our fort'e at Doc Magrogan's! Doc's brings you only the freshest seafood direct from trusted sources that care about the health of our rivers, lakes and oceans. When you dine at Doc Magrogan's, you taste the very best in freshness and flavors from seafood to organic produce and top shelf beverages.